President Obama’s latest push on gun safety was hardly a shot in the dark. His call for universal background checks on March 28th was a highly coordinated, multi-event, multi-channel message that offers a strategic communication model on a dynamic public policy issue. With the raw emotions subsiding over the tragic Sandy Hook school shootings and the success of gun rights advocates at thwarting new legislative bans on military-style semiautomatic rifles, the Obama administration clearly needed to re-engage public opinion and build groundswell. With little political support for banning military-style assault rifles, his new objective is keeping alive the proposal of universal background checks for all gun purchases. The new strategy involves putting public pressure on congress. The new tactics involved a national day of action with a highly coordinated series of events and social media engagements that would swamp news coverage and buzz in a 24-hour cycle. 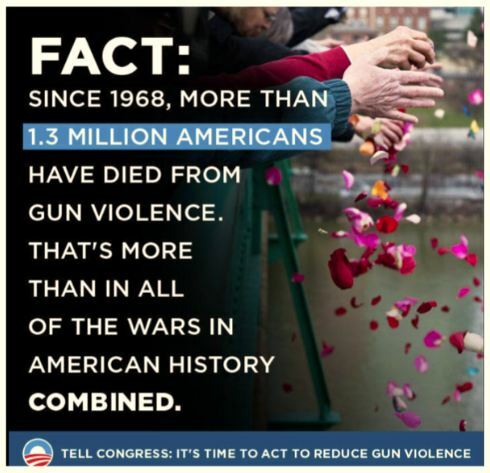 At the core of the new strategy was a White House press event featuring the victims and survivors of gun violence. 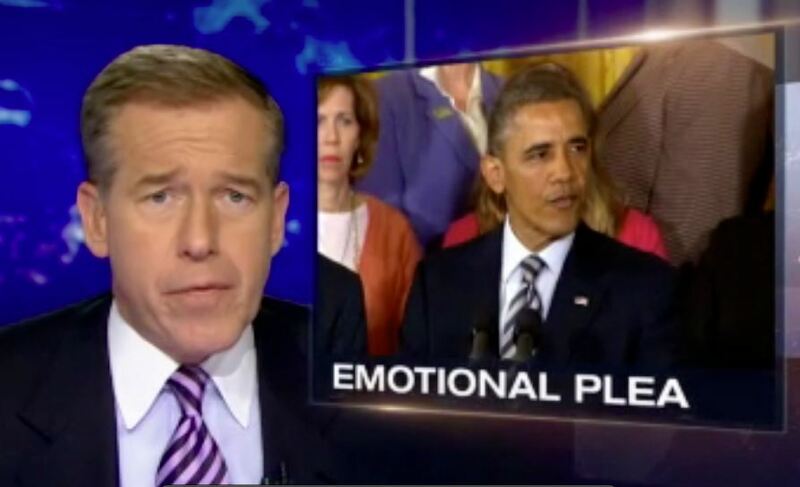 “Tears are not enough,” said the President. He urged activists and citizens alike to “turn that heartbreak into something real” by urging their congressmen to pass meaningful gun control legislation. By using the bully pulpit of the presidency, Obama was able to command the necessary national news coverage and earn the A-1 lede slot on the network evening news. 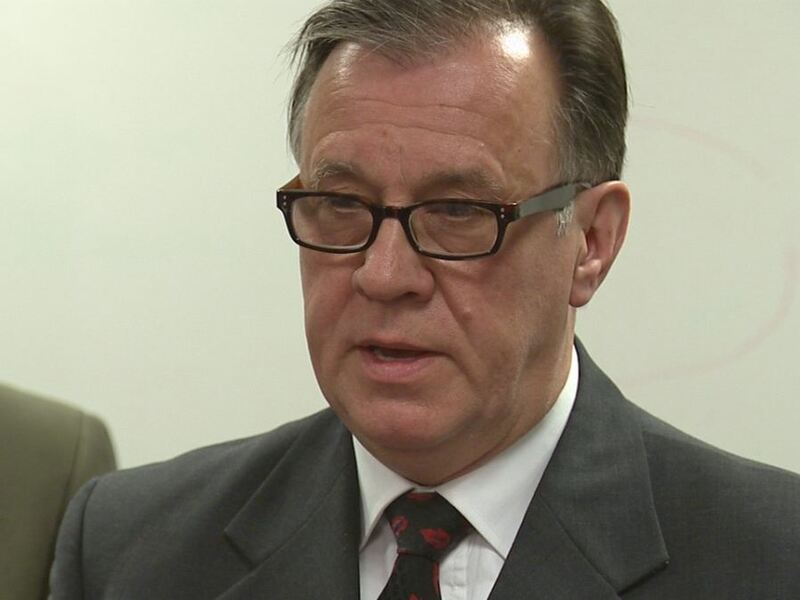 Accent Signage shooting survivor John Souter speaking at a Minneapolis news conference. But just as important to the strategy was sending the same message to communities across the country, especially in blue states such as Minnesota and communities where gun violence is a salient issue. In that effort the White House coordinated with gun safety organizations to hold more than 100 media events across the country that day featuring local gun violence victims pleading for action. In Minneapolis, the event featured John Souter, a survivor of the tragic workplace shooting at Accent Signage on September 27th. Six of his co-workers died. Souter was shot twice. It was his first time speaking about the unspeakable. He commanded the attention of every news camera, every reporter’s notebook in town. The local news conferences served as a force multiplier to the president by ensuring that local gun violence victims would be seen and positioned next to the president’s remarks in the evening news coverage. 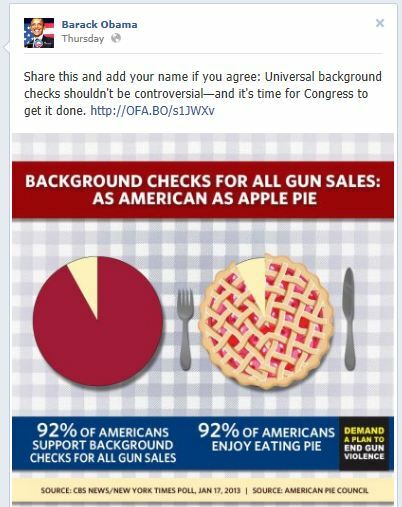 The more than a half a dozen tweets were joined by Obama’s Facebook posting of an infographic showing support for universal background checks seemingly as popular at apple pie. (Figure 2) The posting received 64,000 likes and more than 10,000 shares. By the metrics of social media engagements, earned media, and buzz, the strategy was superbly executed. It shows that strategic engagement is no accident and it offers a modern model in multi-channel communication. But real success in this case is whether the strategy activates votes in congress. For the moment that is a much harder task. The whip counts are still out.